End backyard drought. 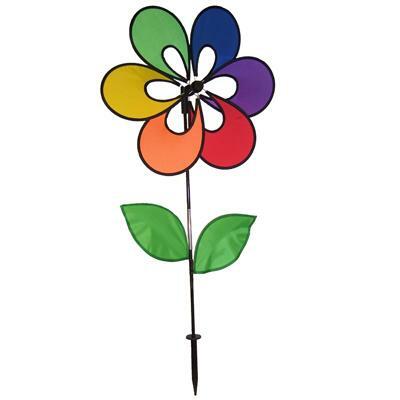 The Rainbow Flower Windwheel is a wind powered pinwheel that will add energizing color and style wherever you plant it. Made from fade resistant polyester and fiberglass. The heavy duty ground stake is included. 19" diameter with 32" pole.